ArcGIS Online, Esri’s software-as-a-service (SaaS) GIS, pushes the envelope of what can be done with mapping and spatial analytics in a web browser. It sets the standard for online collaboration and managing geospatial content. 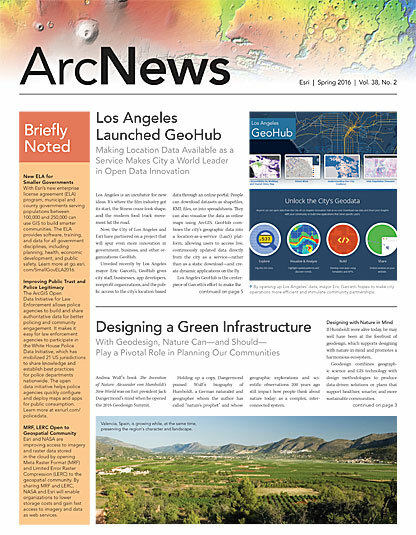 Many organizations use a web-based portal connected to ArcGIS Online to open up their catalog of geographic information to others. Portals are intrinsically social, enabling them to become a nexus for integrating myriad data types from different sources and turning them into useful information products. They make workflows more efficient and support critical, time-sensitive decision making. For some organizations, however, some or all of their data is proprietary or too sensitive to expose through a public portal. These organizations, which include commercial enterprises, specialized government agencies, and nonprofits, often run their business software on infrastructure that they manage, rent, or own. Portal for ArcGIS, which works with ArcGIS for Server, provides these types of organizations with the same collaborative solutions as ArcGIS Online deployed on an organization’s infrastructure. When Portal for ArcGIS was first introduced, it offered similar capabilities as ArcGIS Online but not everything. Today, Portal for ArcGIS is rapidly catching up. In 2015, Portal for ArcGIS began allowing users to create and share 3D content via web scenes and scene services. An imagery service type for publishing elevation surface data was also added. The map viewer got smart mapping capabilities as well, which lets enterprise users automatically visualize information based on the nature of the data and the basemap and helps users quickly define how data is rendered in the map. At ArcGIS 10.4, Portal for ArcGIS has received even more capabilities that increase its parity with ArcGIS Online. Now ArcGIS users have more ways to deliver the right information to the people who need it, wherever they are—all while staying within their organization’s secure environment. New spatial analysis tools allow users to quantify patterns and relationships in the data and display the results as maps, tables, and charts. The Portal for ArcGIS map viewer now provides a set of analysis tools previously only available in ArcGIS Online. These spatial analysis tools, available in the Perform Analysis pane, allow users to quantify patterns and relationships in the data and display the results as maps, tables, and charts. The toolset includes nearly two dozen tools for summarizing data, finding and deriving locations, calculating density, locating hot spots, creating buffers, extracting data, dissolving boundaries, and overlaying layers. To provide more information about an item than what is available on the details page, Portal for ArcGIS administrators can enable metadata for items and configure the metadata editing and viewing experience with a supported standard. This feature also applies a style to the metadata—such as the Federal Geographic Data Committee’s Content Standard for Digital Geospatial Metadata (CSDGM) or the internationally recognized North American Profile of ISO 19115:2003—to support metadata standards. Portal members can now create groups that allow those with access to the group to update affiliated items. For example, shift workers in an operations center can update the maps underlying their apps and dashboards and be sure that employees on another shift (who are also members of the group) see and use the new information. When members share an item with a group, they remain the owner of the item. While other group members can update the item—adding layers to a map and saving the map with the updated content—only the item’s owner can delete it and change its sharing properties. When printing from the map viewer, Portal for ArcGIS users can now make custom layouts. Layouts are based on what the organization’s print service provides, but administrators can configure custom print options that allow users to choose dynamic text options for map elements such as title, date, and time. At 10.4, the Portal for ArcGIS map viewer, Web AppBuilder for ArcGIS, and configurable apps fully support editing feature services secured with web tier authentication. To take advantage of this, administrators can configure trusted servers that allow Portal for ArcGIS to automatically pass through credentials. Drone2Map for ArcGIS now works with Portal for ArcGIS. This recently developed and evolving app, which works with a variety of 2D and 3D map data formats (including KML files), is fully integrated with the ArcGIS platform, both on-premises and in the cloud. With ArcGIS Earth, users can securely access, share, and publish enterprise maps and data. Customers working inside a firewall can use the app to create their own basemaps and services that anyone using ArcGIS Earth can view. 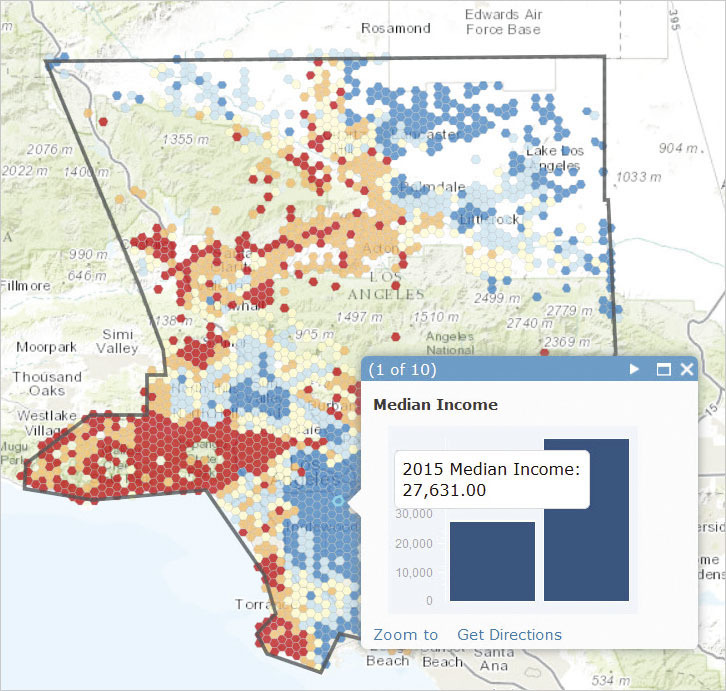 The recent release of Esri Maps for Office gives users new options for enhancing Microsoft PowerPoint presentations with interactive, dynamic maps. Users can now add time-aware layers to maps in Microsoft Excel and run an animation that shows how patterns in the data change over time. Additionally, they can filter spreadsheets to display only selected map features before using standard Excel functions to work with data subsets. The newest version of WebApp Builder for ArcGIS has five new layout themes and 12 new widgets, as well as an improved user experience. With it, users will soon be able to create 3D apps. With the release of 10.4, Collector for ArcGIS works with Windows 10. An upcoming release will allow the app to support high-accuracy data collection. This premium navigation app, which can be seamlessly integrated with Collector for ArcGIS as well as third-party apps, now works with Portal for ArcGIS. This groundbreaking tool that lets users easily convert maps into consumer-friendly mobile apps has been integrated with Portal for ArcGIS. 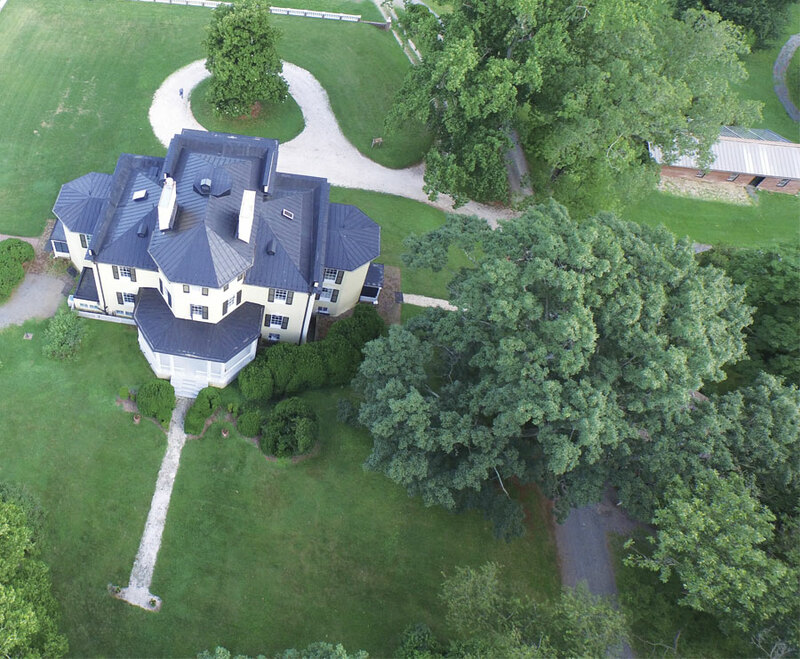 With Drone2Map for ArcGIS, customers can use drones to quickly create orthomosaics, 3D meshes, point clouds, and other professional imagery products. 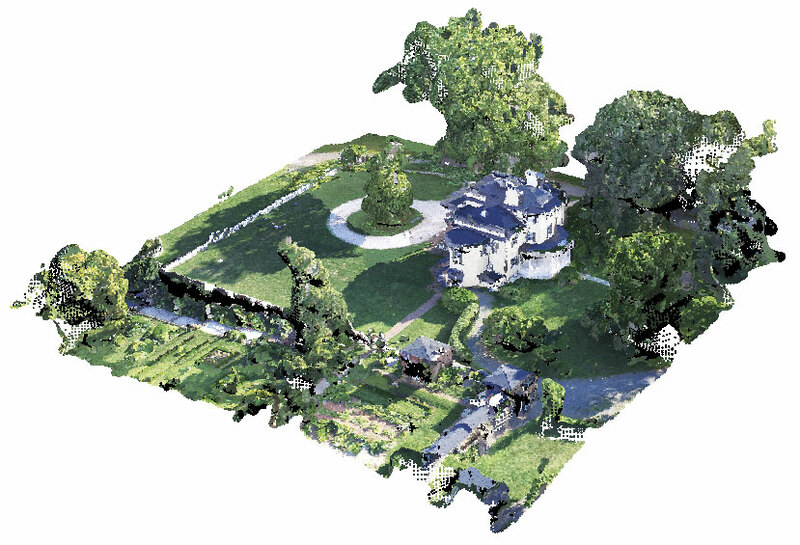 Drone2Map for ArcGIS (currently in beta) lets customers use drones to quickly create orthomosaics, 3D meshes, point clouds, and other professional imagery products. The app now works with Portal for ArcGIS. At 10.4, Portal for ArcGIS supports enterprise logins for Survey123 for ArcGIS using OAuth. This intuitive and formcentric data-gathering solution is currently in beta. Workforce for ArcGIS (in beta), which facilitates better coordination and teamwork among field workforces, will be integrated with Portal for ArcGIS later this year. More and more organizations are finding that they need and want multiple GIS portals—both public and private—so they can provide authoritative GIS services and applications to specific audiences inside and outside the organization as well as across departments, regions, and continents. Looking ahead, ArcGIS customers will see a distributed GIS platform that spans on-premises and cloud implementations. Organizations will be able to have multiple GIS portals distributed within an enterprise and across geographies—all interconnected and synchronized to enable mapping, reporting, analysis, and collaboration at local and global scales. The new ArcGIS is just getting started.